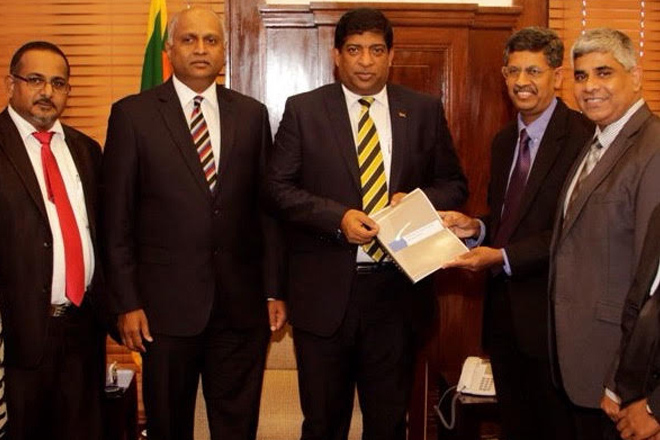 May 20, 2016 (LBO) – Sri Lankan government sponsored National Insurance Trust Fund has insured all uninsured Sri Lankan citizens and uninsured properties by obtaining a catastrophic reinsurance cover of up to 10 billion rupees. The cover has been obtained from major reinsurance companies in London and other parts of the world, through Crescent Global and its subsidiary Strategic Insurance Brokers. “All uninsured Sri Lankans can now be secure in the thought that any tsunami, cyclone or other natural disaster would not destroy their houses, businesses and livelihoods, and ultimately destroy their spirit,” Finance Minister Ravi Karunanayake said. Under this reinsurance cover for 2016/17, National Insurance Trust Fund has the capability to settle claims up to 2.5 million rupees for any uninsured property that is affected by a natural calamity. Fishermen would be compensated up to 1 million rupees for loss of life due to natural disaster while fishing at sea, and all citizens are covered for 100,000 rupees in the event of death due to natural perils. “We responded to a request that came from the Finance Minister to arrange this cover,” Manjula de Silva, Chairman of National Insurance Trust Fund said. All of the companies in the reinsurance cover agreement are Lloyd’s registered Insurance companies with “A”, “AA” and “A+” ratings, Crescent Global said. “Catastrophic reinsurance cover arrangements are encouraged internationally by international cooperative arrangements these days,” Indrajith Fernando, Director of Crescent Global South Asia said. Among the top global reinsurance companies that are part of the catastrophic reinsurance cover agreement are four out of the top 10 Reinsurers in the world.